SBS has another series coming about an international restaurant opening its doors in Australia. 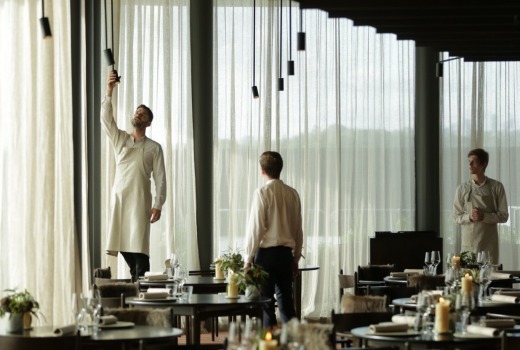 noma Australia will screen next month featuring Danish chef René Redzepi opening a restaurant for 10 weeks at Barangaroo in Sydney. It closed earlier this month following dining at $485 a head. With exclusive access, the cameras follow René Redzepi and his international team, as they forage, taste and imagine their way through an avalanche of flavours and moments discovered on their Australian adventures. The journey follows the relocation of one of the world’s greatest restaurants from Copenhagen to Sydney to create an original menu that reflects the unique and vibrant Australia landscape – from finger limes and bush bananas to fresh snow crab with fermented kangaroo. The stories behind the dishes will be revealed, and audiences will be invited to experience just what has inspired the noma team in their expedition across Australia and to Sydney. The three part series begins Thursday 19 May at 7.30pm on SBS.